The Ink Trap: Shake Your Booty by Art Impressions! Hey, all! Welcome back! I'm coming at ya today with a Christmas card. Yep, you read that right. Now, before you start pelting me with ink pads, hear me out, will ya? 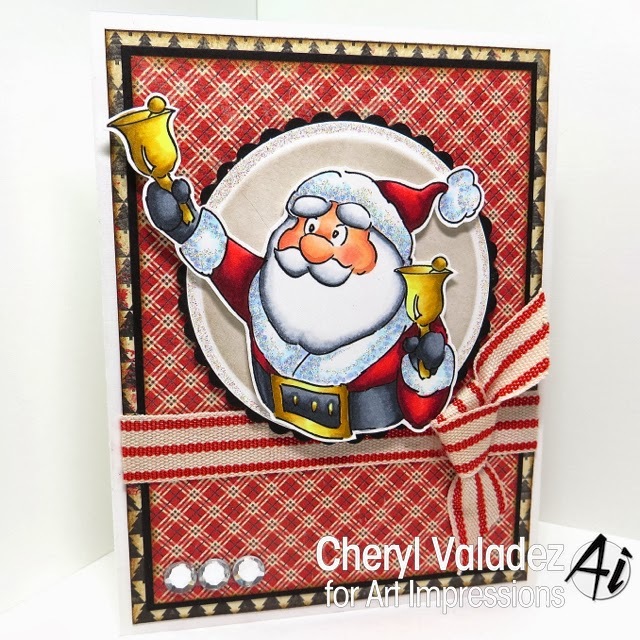 I don't know about you, but when the holidays roll around, there is just never enough time to get everything on my "To Do" list taken care of including holiday cards. The "busy"ness of the season overwhelms me and invariably I find myself eliminating tasks I can't make happen. The handmade Christmas Card item usually ALWAYS falls into that dismal undertaking. Sure, I feel terrible about it, but what's a girl to do? This year, I decide to try a different approach. I'm going to keep my Christmas Card list short and sweet. AND I'm going to create one Christmas card each month. By the time December rears it's tinsel covered head, I'll be 12 cards in...ideally. 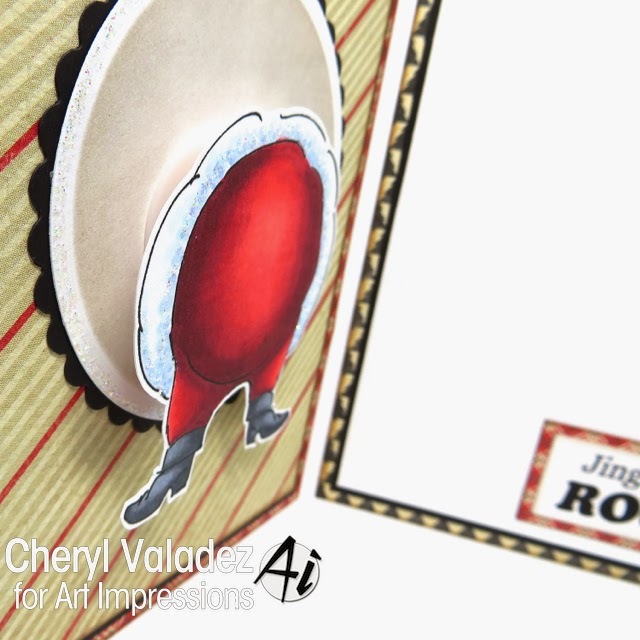 For my January Christmas card, I opted to use one of the Shake Your Booty stamps by Art Impressions, the Santa Shake Set. Add an Action Wobble and you've got a cutie patootie card with some sass. 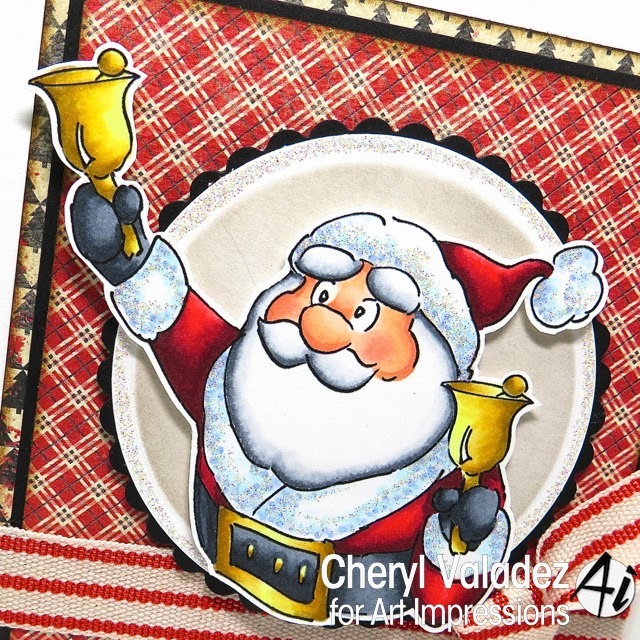 Check out all of the fab stamp designs in the Art Impressions Shop and be sure and visit the Art Impressions Blog for daily inspiration and bi-weeky challenges. Fun, fun, FUN! Okay, I better "shake" a leg ;) Until next time, stay crafty! Too cute Cheryl!! love this booty shaking Santa!